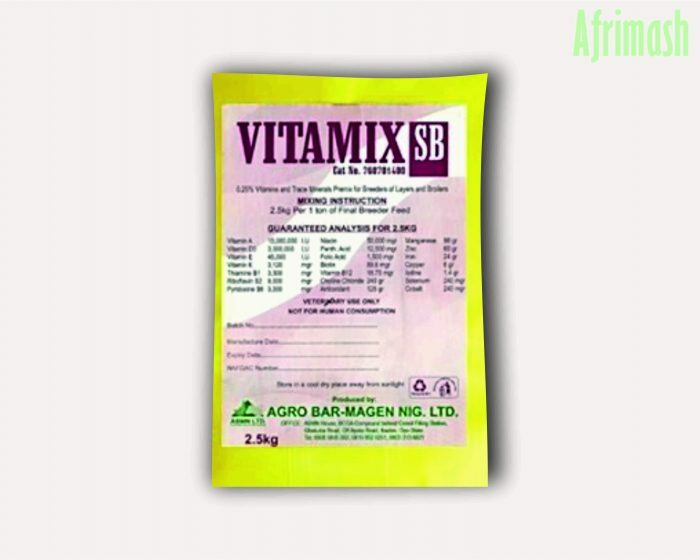 The Super Breeder Premix is a balanced blend of stabilized and high potency vitamins, minerals and trace elements formulated to meet the special requirements of breeders/parent stock of broilers and layers. It is recommended for breeding stock to ensure better egg production as well as boost performance. It also improves immunity and health attributes. Vitamix SB is a feed additive formulated to be mixed with on-farm grains to provide a nutritionally balanced diet for laying hens. 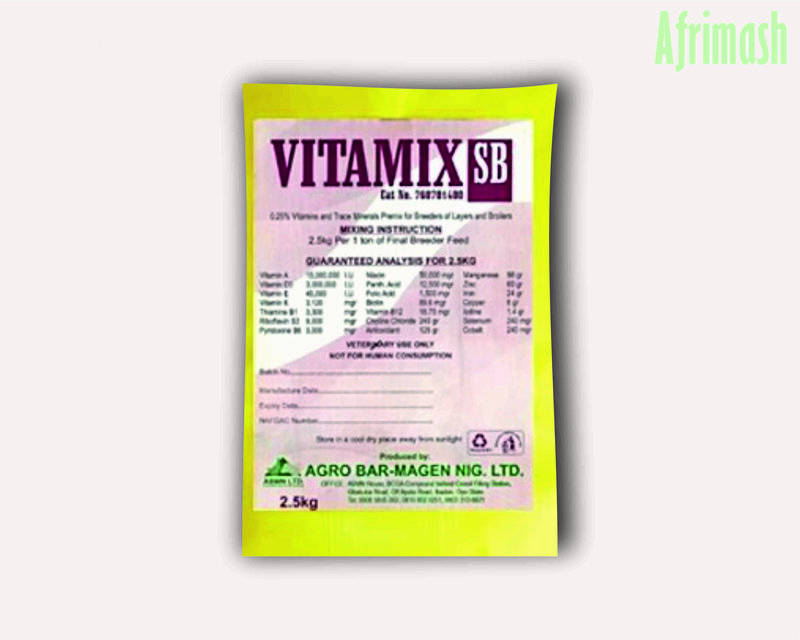 This premix contains a wide range of essential vitamins and trace minerals for breeders. Specifically, breeders’ nutritional requirement is quite complex with little differences between broiler and layer breeders. In addition, it is designed to cater for both lines, thus bringing out the best performance in hatchability and fertility. Improves the performance of breeders. Increases biotin content, thus prevents sudden death due to fatty liver and kidney syndrome. Guarantees increased livability of the embryo. Recommended to be given from week 18 to 22 upwards. (Can vary on flock health status).